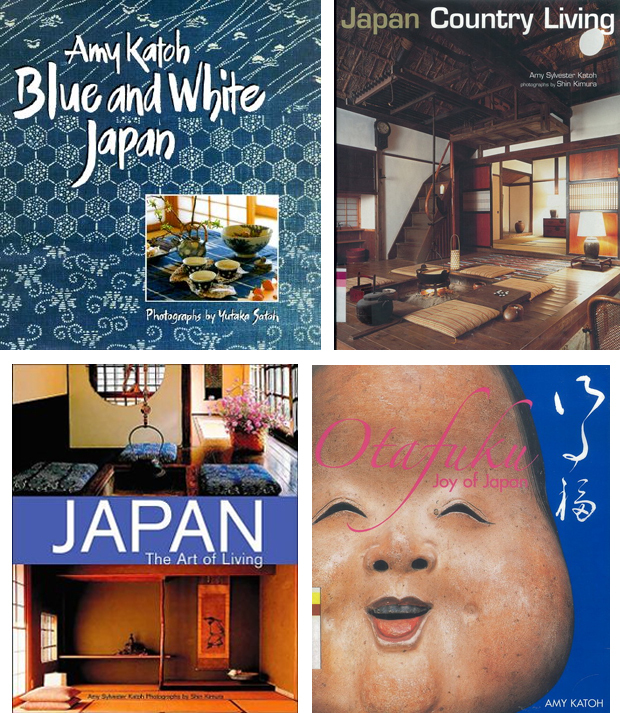 So it occurred to me in writing last post on LuRu Home that Claire and Liza are possibly at the beginning of a similar journey to that started some time ago by Amy Katoh, author, shop owner and flame keeper of all Japanese things handcrafted, indigo and folk art. 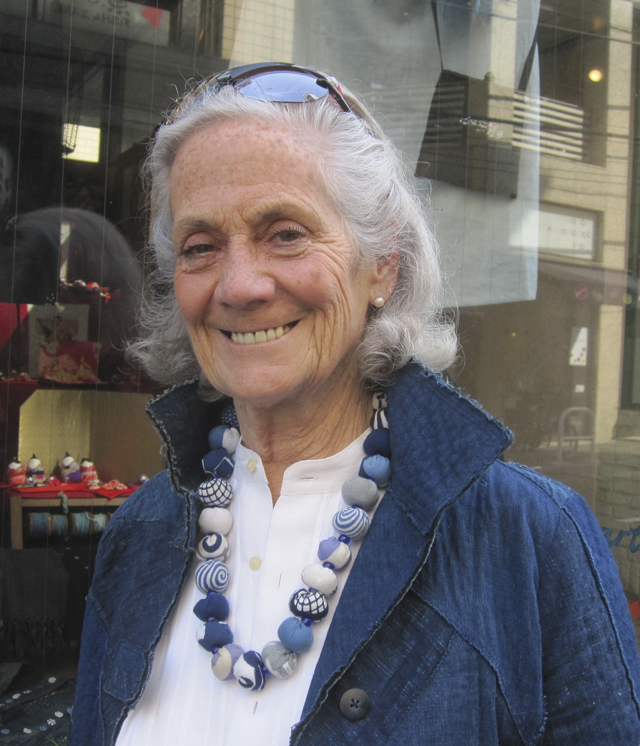 When Amy Katoh moved to Japan in the 1960s, the local mood was to jettison everything Japanese and traditional in favor of things western and modern. This wasn’t a new trend – it had been happening since the Meiji Restoration – where seemingly overnight Japan went from an agrarian culture to an industrial one. 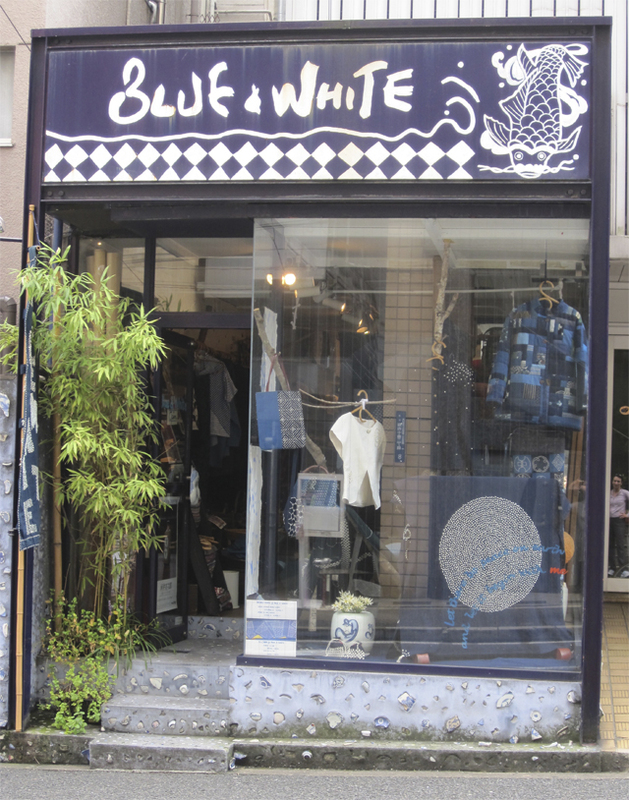 But pockets of the old ways remained for those who sought them out and at the forefront of this group was Amy and her perfectly named shop Blue & White. It seems ironic that it takes an outsider to shine the light into the corners of a culture, pulling out and saving the pieces that are about to be discarded, both figuratively and literally. Amy went to markets and bought up old indigo work clothes, almost warm from their former owners backs, tools considered defunct and pottery no longer wanted. She started out by saving things and went on to re-invent and help create new things from the old. She has been instrumental in bringing outside interest to the folk arts of Japan and it is that very outside interest that has helped the Japanese see the magic of their traditional arts culture themselves. It is not just her knowledge that makes her so compelling, but also her very personality. She is never still, never bored and always interested in seeing and learning more. Whenever I am with her she is engaged and excited about something – a new exhibition or experience – and her vibrancy is infectious. Many a new expat wanders into her shop only to be seduced by the charm of the goods and their proprietor. In fact, I’ve head from numerous people that they chose their neighborhood and apartment because it was near Blue & White. Lately Amy has been very involved in working with handicrafts fashioned by the handicapped, a group that can often be overlooked. Her committment to numerous groups is strong and the wares in the store reflect that. In May, after Golden Week an exhibition featuring handcraft by the handicapped from Tohoku will be on display. The regions hit by the tsunami were known for their traditional arts and much was destroyed. It has been hard to get those small industries up and running and particularly so for handicapped artists. Money raised from the sale of the genki tenugui (written about here) will also be put towards this cause. 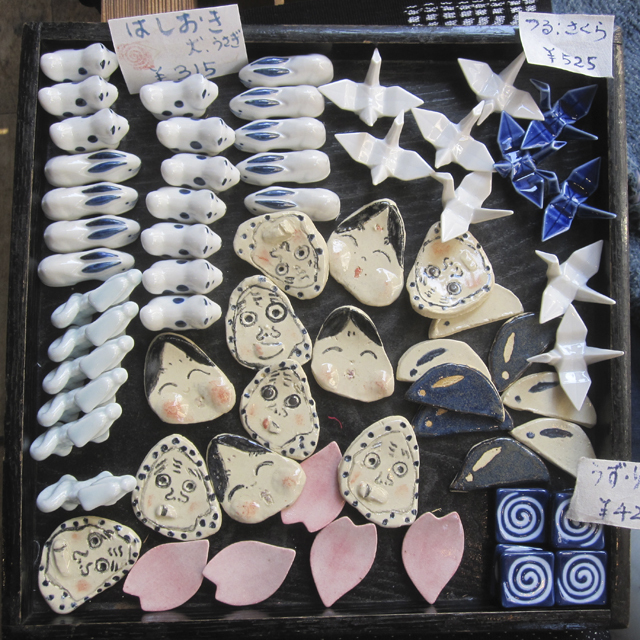 …to charming little chopstick rests. Do I spy Otafuku? 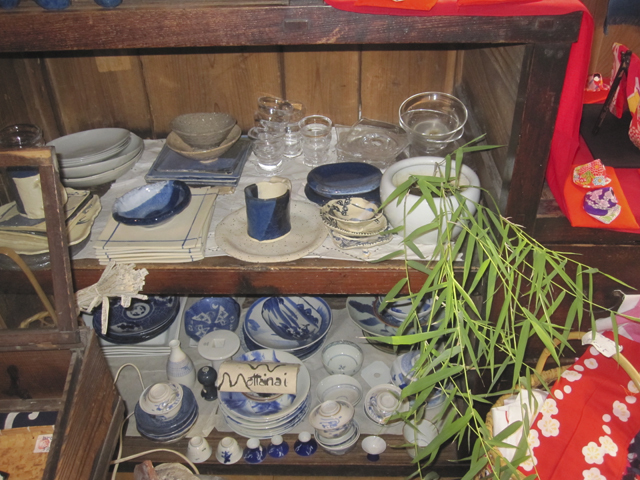 It’s the kind of place where at any moment, an itinerant indigo peddler may show up and stark unpacking his wares. I’ve been lucky enough to be there on one of those days. He should be coming back quite soon, perhaps in the next week or two. 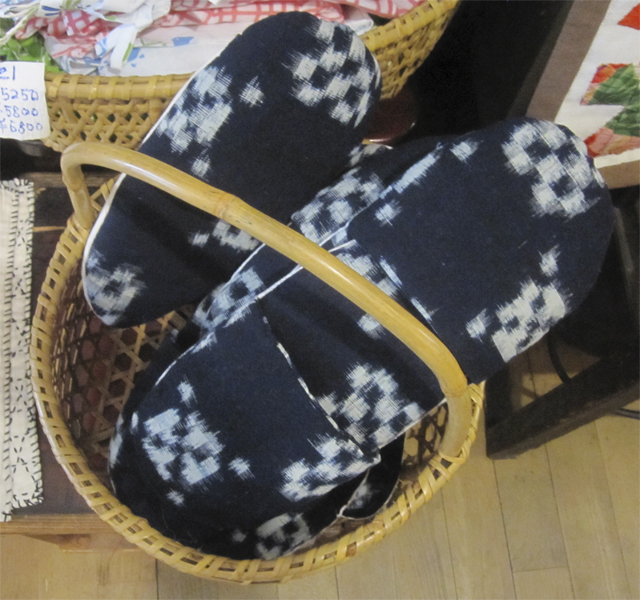 Kasuri slippers anyone? Not to jump the gun, but you’ll be hearing a lot about kasuri from me in the coming days. as does Akiko Ike, who teaches the rough and primitive form called chiku chiku, which is the sound a sewing needle makes when going thru cloth. I can’t imagine actually using these charming dust cloths for their said purpose. And Amy has almost single-handedly kept traditionally dyed yukata fabric from Tokyo Honzome (a consortium of dyers) in production. No one can afford to buy the handmade rolls anymore for making yukata, but she sells it by the meter, perfect for projects like quilting. 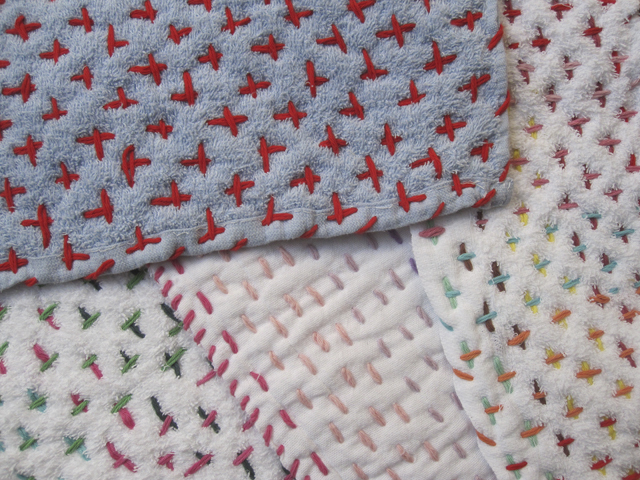 You all know how often we have turned to her for the fabric in the ASIJ quilt borders. 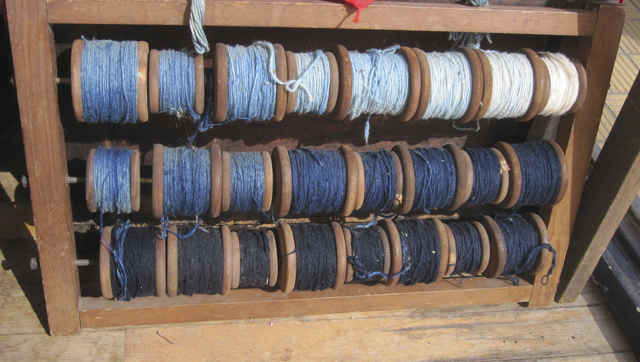 These days the dyers are surviving by making tenugui – the Japanese equivalent of a dish cloth – with the traditional techniques and stencils and Blue & White has a large selection of those too. 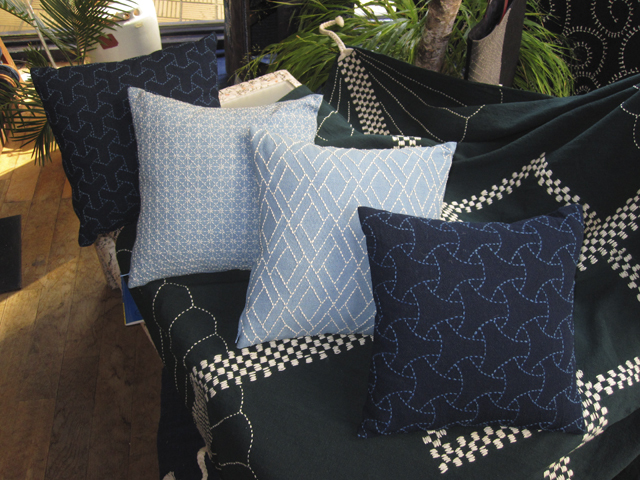 One of the most beloved things sold at Blue & White are the small quilts and hangings by Reiko Inaba. 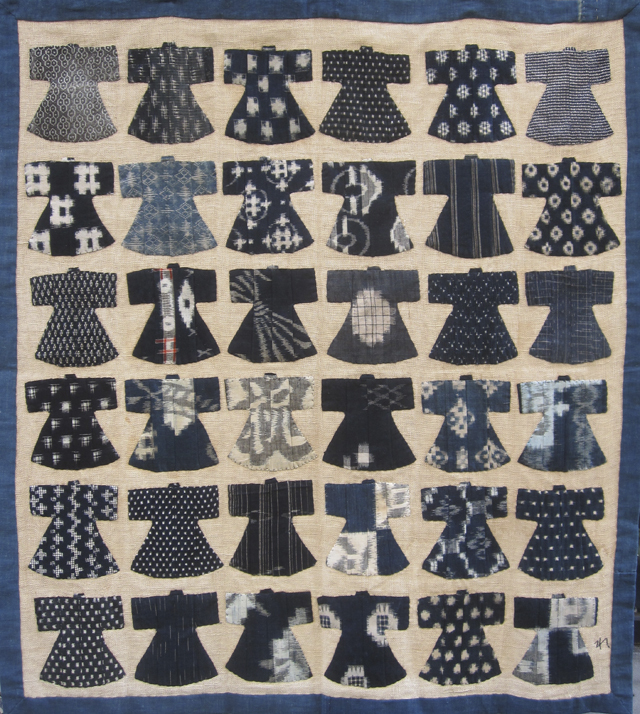 She uses vintage mosquito netting, kasuri and other fabrics to turn out her charming kimono and fish quilts, something she started doing as cancer therapy. For those of you who can’t just pop in and visit, Amy’s books have been reprinted a million times and still feel as fresh as ever. She is currently working on a fifth – I’m not sure that I can give away any details on it! For me personally, Amy has been an inspiration, a teacher and a wonderful example of how to live a life full of constant discovery. She sees the wow! in everything. Put Blue & White on your bucket list….